Cabinet Wholesalers has been offering outstanding kitchen remodeling services to Fountain Valley homeowners for many years. We’re a family owned company, so like you, we know that your family also spends a lot of time in the kitchen. That’s one of the many reasons why we know how to make the most of this well used room. Of course, the others are our many kitchen design professionals and woodworking experts that know all the tricks to making a kitchen work for you. One of the quickest ways to kitchen remodeling is with cabinet refacing. With our signature cabinet refacing process, your kitchen cabinet cabinet have an updated look without having to replace your cabinets. How does it work? First, we’ll help you choose a new door and drawer style in a color that suits your tastes. You may even want to check out the latest kitchen accessories that you’ll want to include in your cabinets. We’ll remove your doors and drawer fronts, and hardware, leaving just the basic cabinets behind. Next we’ll cover your cabinets with a 1/4″ thick veneer, completely covering all traces of your old cabinets. Finally, we’ll top it all off with a beautiful crown molding. 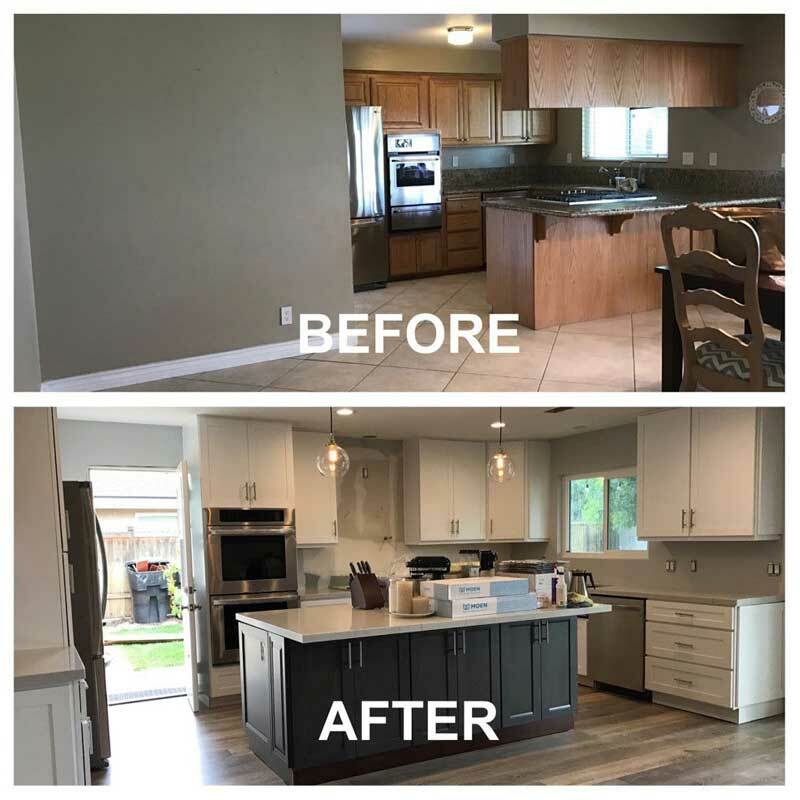 If you’re interested in our kitchen remodeling in Fountain Valley and want to find out more about Cabinet Wholesalers, contact us today at 714-693-1111, or visit our Anaheim kitchen cabinet showroom.